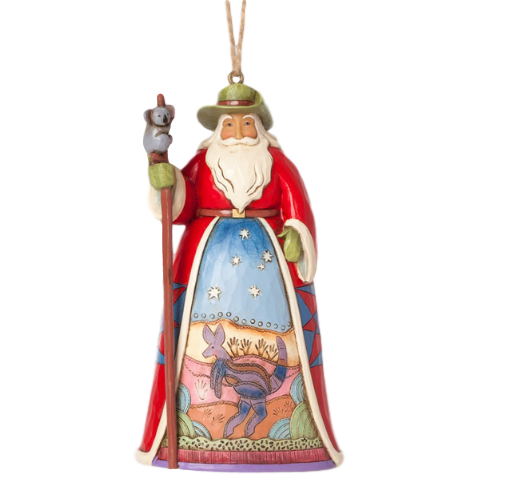 This Jim Shore Santa conveys warmth through an artful depiction of the land Down Under, featuring the Commonwealth Star, Southern Cross constellation, and a kangaroo, all hand-painted by our team of skilled artisans. 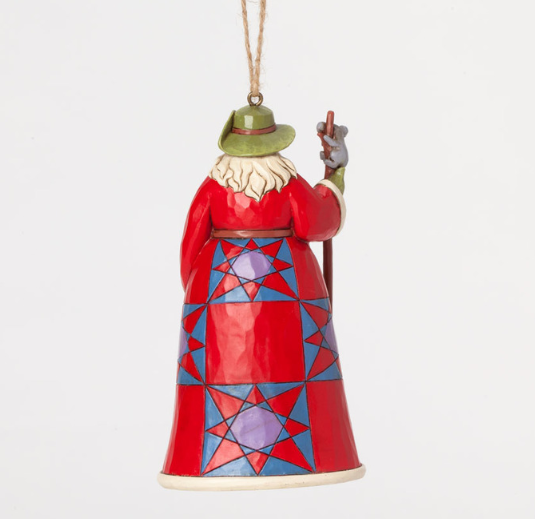 Hanging Ornament for Christmas or Everyday display! I love this Santa with his slouch hat and koala on his stafs. I think Jim Shore has done a great job in creating the Australian exactly like he should look.Most Aussie santas are pictured with shorts singlet and thongs what every other country calls "Flip flops" but I thing this one is the best.